Have you ever wondered why you’re not getting as much traction as you’d hoped with your online marketing? With the explosion of digital media, social networking and other online resources you want your voice to be heard, and to be trusted by your readers. If you think you can achieve it by simply setting up a great website, corporate blog, Facebook profile page or a company Twitter feed, think again! You must also build a critical mass of followers who believe in you, and who trust you. At the tail end of 2009, Carl Johnson & Henry Rak (ex-Kraft Foods alums and all-around very bright folks ... yes, I admittedly am biased) took a look at what ails the consumer packaged goods industry (CPG) today. Their write up speaks for itself and a good read for all marketers, but what caught my eye was a metric created by Booz Allen Hamilton a few years ago - "unhealthy marketing" and a breakout of several industries. Anyway, seems CPG marketers need to devote more time towards positioning and spend less time approving label artwork. Been asked several times this week for the research, so here it is "Marketing in a Recession"
I wanted to share a neat tool you might find useful in helping organize your tweets. The tool is called TweetDeck. It’s a power app allowing users to maximize the Twitter platform. The way it works is really simple. TweetDeck enhances the Twitter interface becoming something far more robust. You can search, spell check (yes, for me that is important), track specific folks and learn who mentions you or your firm. It even interacts with your company Facebook and LinkedIn accounts by displaying the news feed and allowing simultaneously posting. So what’s the catch? None. The tool is free and takes 30 seconds to download. Why I am I sharing this? Because as a digital marketer I run into new things each day. A lot is garbage, but some turns out to be pretty useful. Anyway, while social media is just part of the marketing puzzle, it's grown to the point that leaders can’t claim “that stuff is not for my business.” If you have questions, feel free to reach out. Lastly, on the “shameless” promoting side … am excited to announce that Al Dente just launched a new Digital Marketing workshop. Please CLICK HERE to download the eFlyer for more information. The "typical" Digital Marketing expert? Is your business so simple that a "one size fits all" solution by people selling template websites can handle? If so, count yourself lucky. Most folks have real needs that require real digital marketing expertise not availble from the "IT guy" selling out of his car. Caveat emptor. The following link from McKinsey summarizes the opposing views neatly. It's worth reading. I think the “train has left the station” on this one. The final chapter on “paid vs free” has been written, and paid loses when it comes to content appealing to large segments. I can’t think of the last time I failed to discover a key factoid within a few search queries on Google or Twitter. Incremental cost = $0. In an strange way this reminds me a bit of running a consumer packaged goods business. Sometimes you know your offer is in a state of decline due to changing fundamentals - Kodak and film - but yet you resist overhauling and self-cannibalization with a better offer such as digital. Reason: you have an asset base that is not easy to transform overnight and can still be "squeezed" until the inevitable happens. Many years ago I sat in the buying office of Winn Dixie – a top 5 supermarket retailer with 1000+ stores. The film and camera buyer was fuming because in his words “Andy, consumers these days just don’t get it. Winn Dixie does offer digital cameras, but they just don't see it. I have these great disposable cameras that can provide a digital picture. The process is simple: take photos, develop the film and scan the pictures to create files.” Last time I checked these were gone from shelves (and that particular buyer is enjoying his retirement). 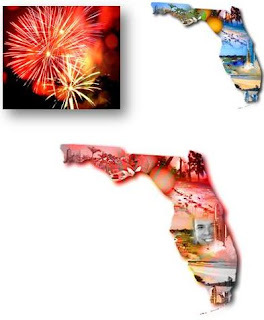 What happens when you take Diwali + Florida? For those of you not familiar with Diwali, click here to check out the wiki. It’s a big deal across Asia and worth knowing about! Is Digital Marketing the “CD” of the 21st Century? How many of you are still playing your 33’s or 45’s? Not many I expect! While the appeal of the old has some nostalgic charm, embracing newer more effective technologies is a trend for most people, and with good reason. The same applies to marketing and advertising, which is seeing an increased shift toward digital as a cost effective preference for many businesses, replacing budgets assigned to TV, radio and print. PricewaterhouseCoopers & IAB just released their internet ad spending update. While results showed ad revenue down -5.3% in first half of 2009, Internet advertising revenue in the U.S. was still a robust $5.4 billion. What does this mean to me? The recession exacerbates a shift that was naturally occurring from traditional to digital. David Silverman, partner at PWC, sums it up nicely. "While the overall advertising market has continued to be impacted by current economic conditions, marketers are allocating more of their dollars to digital media for its accountability and because consumers are spending more of their leisure time online." Just as the music industry's shift from records to CD’s occurred due to tangible benefits of the new technology, the same applies to the patterns now being seen in marketing spend changes. Digital marketing approaches are proving themselves “winners", as they provide measurable ROI, have a vast and continually growing audience and can more readily be ‘tracked’ from inception to success (or failure!). Not enough reasons to leap into digital marketing? Then consider this… why does digital marketing work well? The consumer has been trained to consume online media because online is where they spend their time working and playing. CLICK HERE to download the complete report. It’s loaded with great charts and figures. One word (okay, maybe a few) of warning! Don’t think that you can just leap into digital marketing and guarantee sales successful. Digital does not equal a winning lottery ticket!! The ever growing levels of competition mean it’s more important than ever to "get it right". Below are 5 quick tips to help ensure your business doesn't go the way of the 8-track, or worse, the gramophone! 3) Clarify team responsibilities and frequency of activities. Include "preparatory" work such as article writing, newsletter development or blog planning, as well as other activities including regular online postings to sites such as twitter, delicious and facebook. 4) Make it fun. Mastering digital and internet marketing is all about relationship building to create dedicated "fans". To do this, make sure your online presence is both engaging and stimulating. Humor is often injected into online postings and articles to emotionally involve your audience. 5) One Step At A Time. Do not expect instant results. Careful planning and consistent application of digital and internet media marketing can and should yield good results for your business. If you are looking for more instant results, then focus initially on onsite SEO followed by PPC campaigns - but beware - a good PPC campaign typically costs more per lead than social media and offsite SEO activities, so make sure you consider this when budgeting for your online marketing efforts.